The polyethylene Bottle Station helps keep materials organized and upright on the lab bench. Many tests involve an array of small reagent containers, vials and dropper bottles. 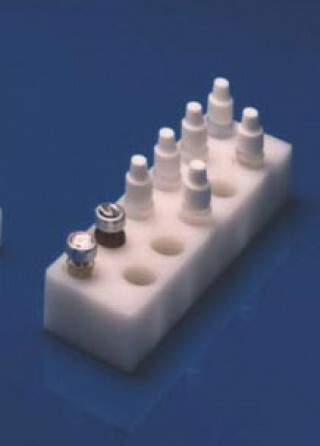 Each station has one hole size and holes for 11 bottles which can accommodate up to 1.5 cm diameter in size.